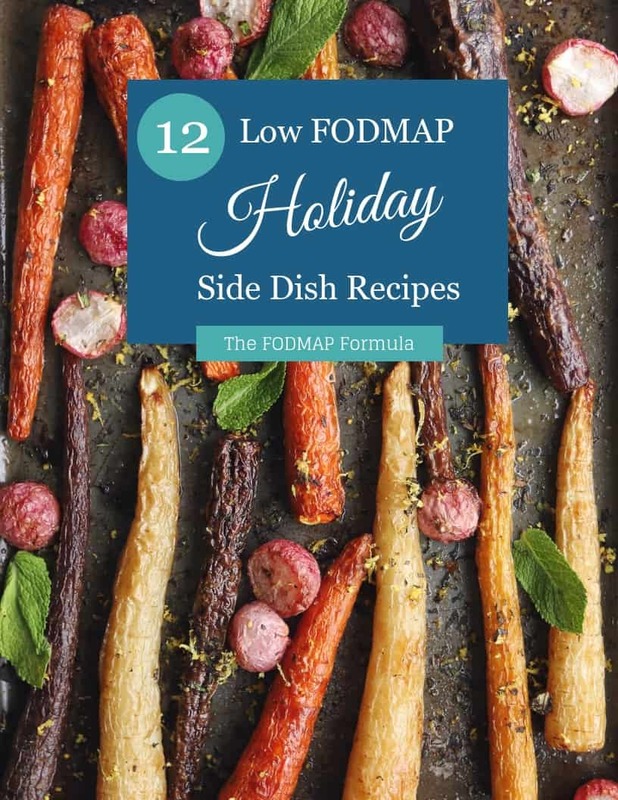 When you eat a meal with more than one side dish it can be hard to balance your FODMAP load. This can make big meals like holiday dinners hard to manage. To make things a little less complicated, I make at least one side dish with no FODMAPs. 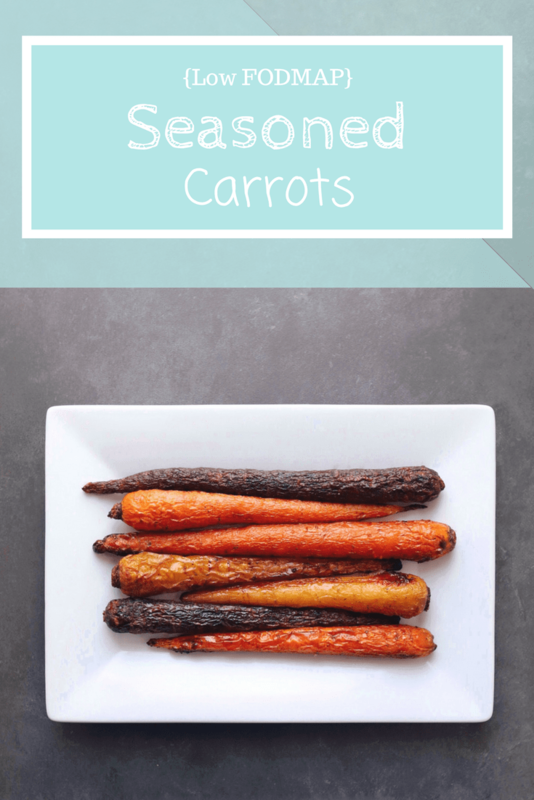 If you need a tasty FODMAP-free side dish, try these low FODMAP seasoned carrots. These seasoned carrots are great for big events. Just toss them with some olive oil and herbs and walk away. But not too far away, ’cause you know, oven safety. This means you can focus on your main dish instead of babysitting your sides. If you’re feeling really lazy efficient, you can add some mini potatoes. Just throw them in the bowl when you toss your carrots. This will tackle two sides at once. Make sure everyone has enough room on your baking sheet, though. Crowding your veggies can cause them to cook unevenly. Think these low FODMAP seasoned carrots sound great, but you don’t have time to try them now? You can PIN THIS POST for later. These low FODMAP seasoned carrots make a simple and savory side dish. According to Monash University, carrots don’t have any FODMAPs. This means you can eat them freely without adding to your FODMAP load. You can also add potatoes to this recipe. The good news is, potatoes don’t have any FODMAPs either. This means you can make two FODMAP-free sides at once. These low FODMAP seasoned carrots work well with most roasted meats. I like to pair them with these FODMAP friendly breaded pork chops or a seasoned pot roast. They have a deep savory flavour, so try to pair them with heavier meals. 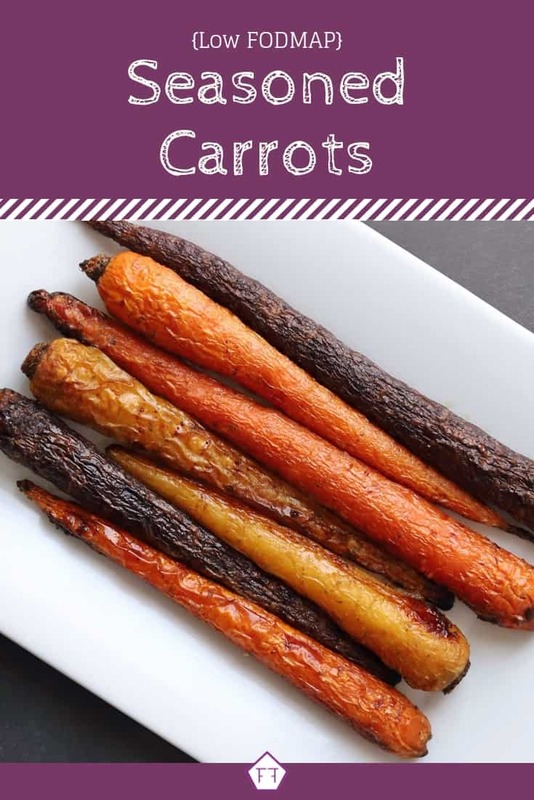 Want to try these seasoned carrots? Don’t forget to PIN THIS RECIPE for later. 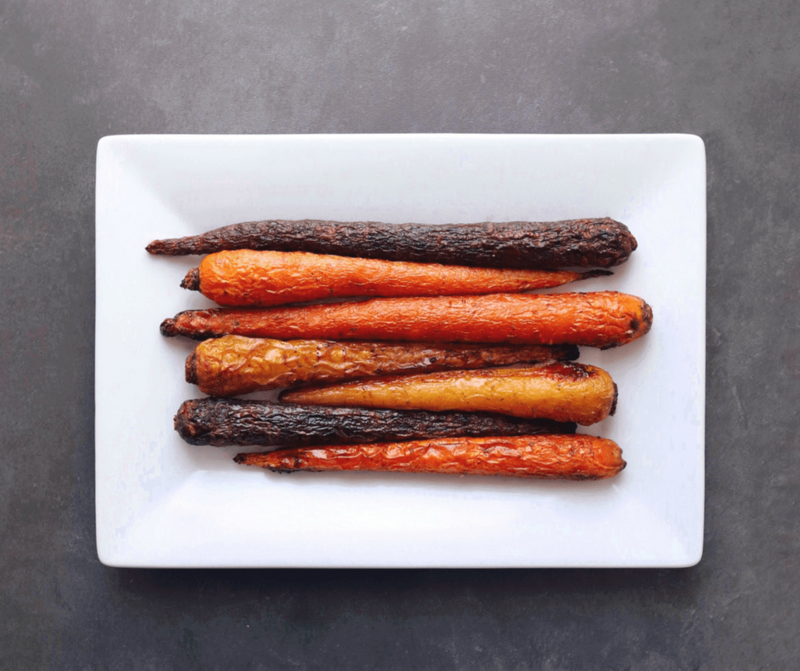 These savoury low fodmap seasoned carrots are the perfect pairing for any roasted meat. Stick them in the oven and 40 minutes later you'll have a delicious low FODMAP side dish. Preheat oven to 450 degrees. Place all ingredients except the parsley in a medium bowl and toss to coat. Lay vegetables down in a single layer on a parchment-lined baking sheet. Bake for 40 minutes (or until veggies are tender). Toss cooked vegetables with parsley and serve warm. 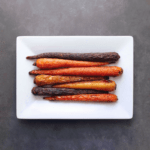 These low FODMAP seasoned carrots will make managing your FODMAP load a little easier. If you like this recipe, sign up for my mailing list below. You’ll get new recipes and articles delivered right to your inbox. Wondering what else is happening in The FODMAP Formula kitchen? Follow me on Instagram for bonus recipes and a sneak peek at my latest projects. 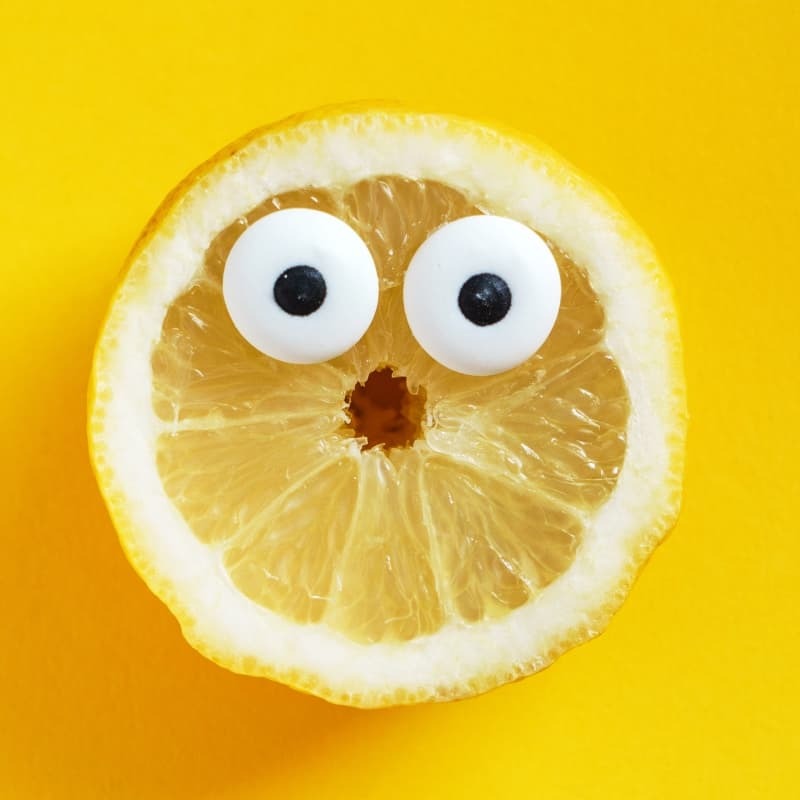 Together, we’ll get the low FODMAP diet down to a science!